A Sterling Silver Wooden Tray of Sushi was made originally for my Japanese clients who told me, lol, that sushi doesn't look like that in Japan. Luckily it looks like that in America. 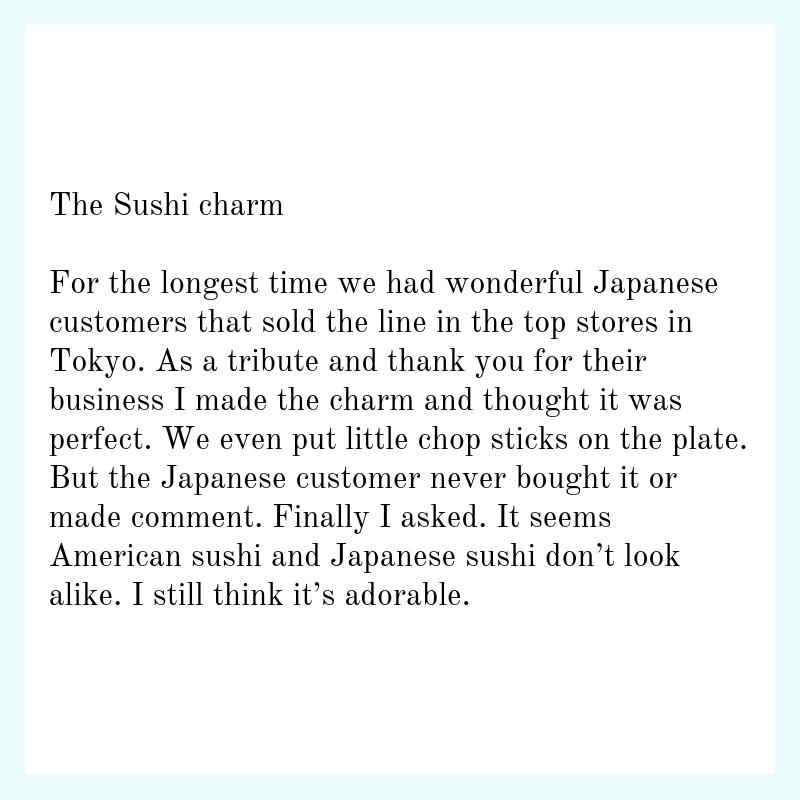 Your sushi lover will be over the moon to have a Sterling Silver Sushi Charm.